The piano is by far one of the most popular and widely used instruments in the world. These real awesome facts and history of the piano give insight into how and where it all began. The father of the piano or the original inventor was Bartolomeo Cristofori (1655-1731) of Padua, Italy. Cristofori was employed by the Grand Prince of Tuscany, Ferdinando de’ Medici. During that time, he was keeper of instruments for the Prince. Using the knowledge and skills he learned there, he began to develop some ideas for the first pianos. He applied all of the expertise and wisdom he acquired about the harpsichord keyboard mechanisms. Cristofori combined that information, along with his great craftsman skills, to create his first piano. The very first piano Bartolomeo created was a simple keyboard. He called it “Gravicembalo col piano et forte” which translates to “keyboard instrument with soft and loud.” As the years went by, Cristofori continued to work on his instruments and design. By the year 1730, the piano was very popular among the elite Europeans and widely used by the upper class. To make the pianos more affordable back then, they were crafted much smaller than those of today. That was so that most families would be able to afford them. As the years went by, the piano began to evolve and change. More keys were added to the piano which caused an increase in both size and the amount of sounds it produced. During the 18th century, the piano experienced rapid development and major changes. They became more louder and powerful. As romanticism became the rage in the arts world, pianos grew significantly in popularity as well. Slowly, new improvements and inventions were added to the piano. Those changes included the metal frames and thicker strings and the double hopper in 1822. A few years later, Henri Pape increased the keyboard range from six and a half to 8 octaves. These days, a lot of pianos have completely gone digital and computerized. While many still prefer acoustic, the digital pianos are software driven and they tend to make playing the piano easier for beginners. Most of these pianos come with preset sounds and other features. Digital pianos are also able to use software and programs which open up all kinds of possibilities for users. Musicians are now able to analyze and print musical scores as they play along. Some pianos now even let you record your music as you play it and let you put it on CD-R’s right away. The truth is that the piano has come a long way since Bartolomeo Cristofori first invented it. The Steinway piano is regarded to be the world’s best brand. The first Steinway piano was produced in 1853. Some of them can end up costing well over 100,000. The piano is considered to be a member of the percussion family. That’s because piano’s make a noise when the hammer hits a string. A piano has a total of 7,500 working parts. They also have about 220 to 230 strings which are made of steel. The most expensive piano in the world is called the Crystal Piano. It sold at an auction for a staggering $3.22 million. The Crystal piano has a breathtaking transparent design. Compared to other instruments, the piano is relatively young since it is only 316 years old. There are more than 10 million pianos in the US alone. 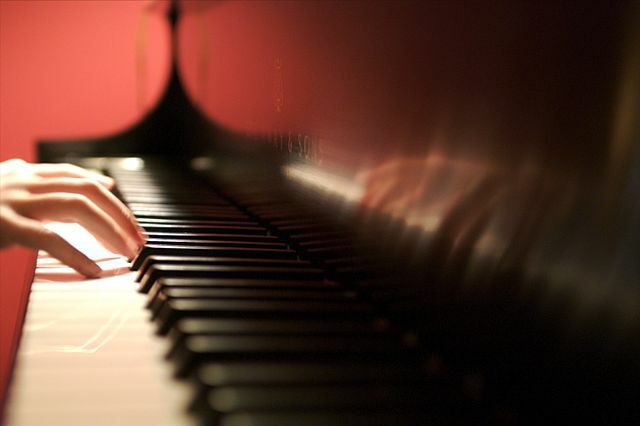 In addition, there are about 18 million, non-professional piano players in the US as well. The world’s largest piano measures 5.7 meters long and weighs 1.4 tons. It was made by Adrian Mann and it took him four years to build it.